I never thought that I'm going to make popcorn in my life because I usually have to buy it or eat it only if I watch movies on the cinema. But not for now because I can make it by myself that are way better than the popcorn that sells on the market and the fact that I can get more and more popcorn without spending more of my money is great, okay! A few days ago, my little brother asking me to make a popcorn again since we already have some of the popcorn kernels left. I just said 'yes' but hold it for a while to find the best time to make it. I guess today is the day. Without further a due, let's get started! 1. Heat your pan and add two spoons of butter. 2. 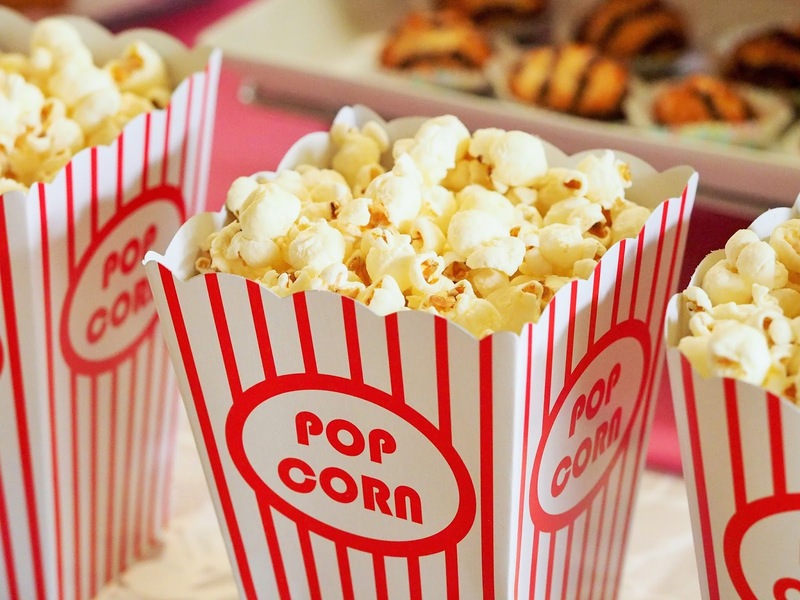 Once your butter melts, add a cup of popcorn kernels and stir lightly to make sure that the butter and popcorn kernels are well mixed. Next, close the pan with the lid and wait for about 7-10 minutes for the popcorn kernels to pop. Please make sure that the heat remains lower and stir a bit so that it won't be burnt at the bottom. 3. Take out the cooked popcorn and put it aside. 1. Using the same pan that you used before with a lower heat, add sugar and don't forget to stir while waiting for the sugar to melt. Be careful while doing this as melting sugar can burn yourself. 2. Once the sugar melts and turns to yellowish/golden colour, add another two spoons of butter and stir the two ingredients together slowly. 3. Last but not least, turn off the heat and pour the popcorns that we cooked earlier to the pan. Don't forget to stir it into the caramel until it mixed together. 4. Let it cool for a while and it's ready to eat! It looks very easy to make and what's better is we can save our money! I would love to try this anytime soon. Thanks for sharing this and followed you here.